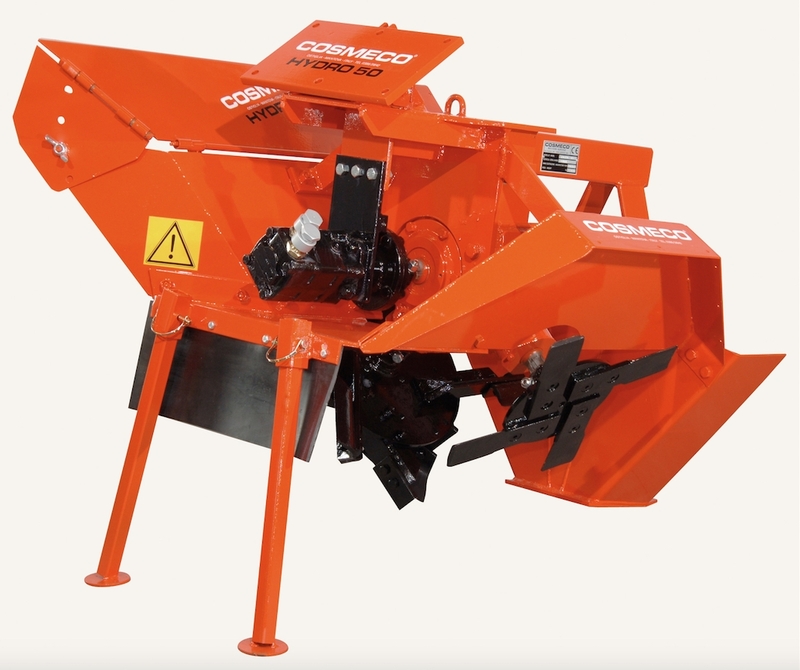 Single-Double Wheel Ditchers for Hydraulic Arm | Products | COSMECO S.r.l. 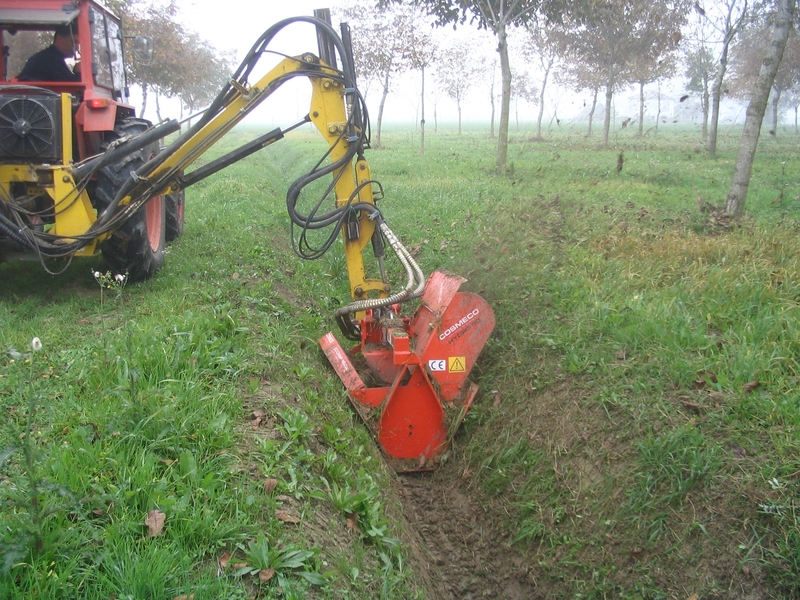 Cosmeco rotary Single-double wheel ditchers are essential when there are particular digging conditions, such as maintenance and/or ex-novo creation of ditches placed near borders, roads or private access ways, common lands, or where there are crops to protect, basically all those circumstances that may require a unique direction for the removed soil to respect the contiguous areas. 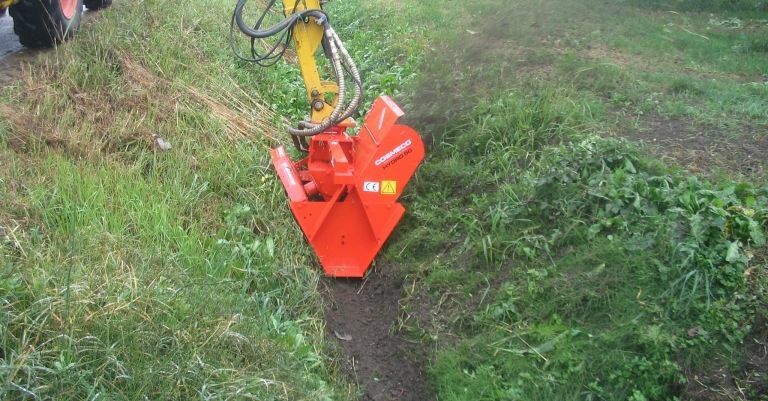 The single-double-wheel ditchers for hydraulic arm have been conceived in particular for the maintenance of road side ditches, with no regards to the soil condition, which can be either dry or wet. 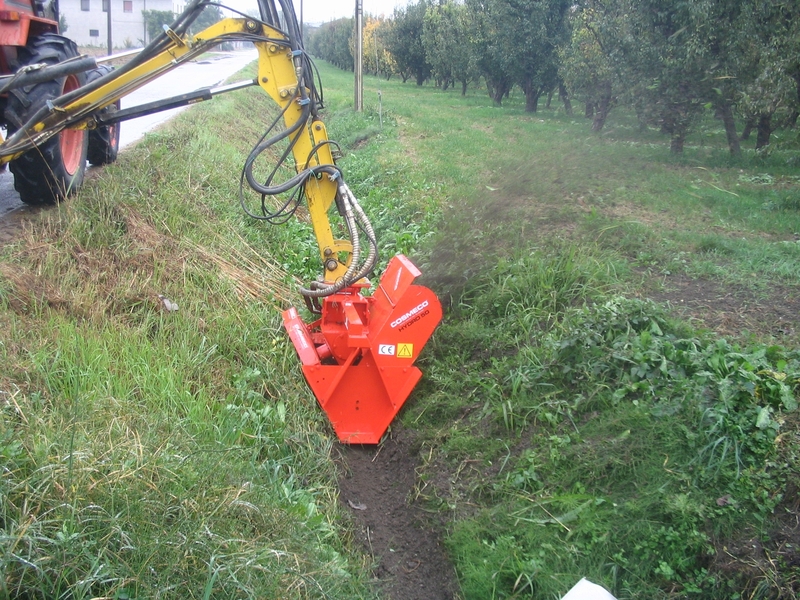 The arm articulated extension (not supplied by Cosmeco) allows the operator to stay on the road while reaching with the ditcher the bottom of the channel on his right side, even if the ditch farther or significantly lower than the road the tractor is on. 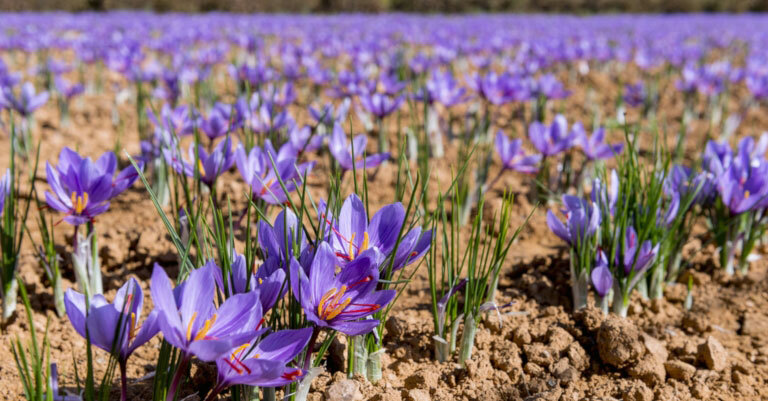 The wheels rotating speed, however, is enough to throw the removed earth over the ditch edge, leaving the channel clean and renewed. 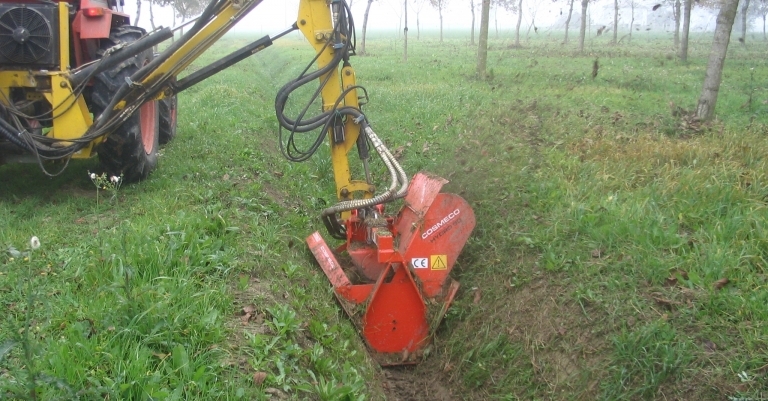 This ditcher is also equipped with a quick-hitch plate customised on the customer’s indications, that is facilitate coupling to the hydraulic arm. The functioning takes places through an independent hydraulic circuit powered by a pump of at least 80l/min. and a 120 bar pressure. 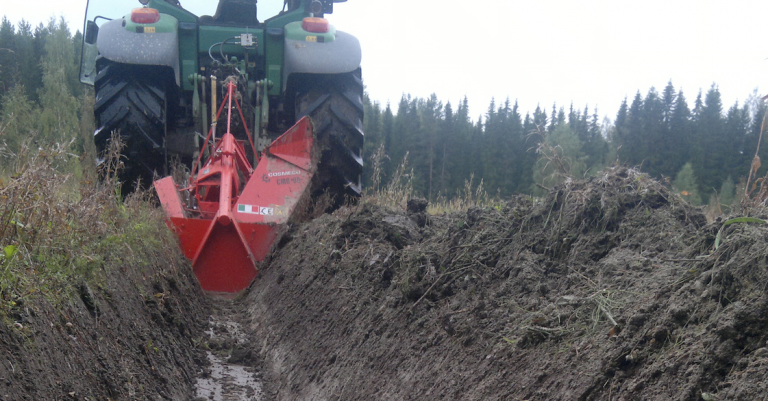 Check out the video of our single-double-wheel ditcher for hydraulic arm at work! 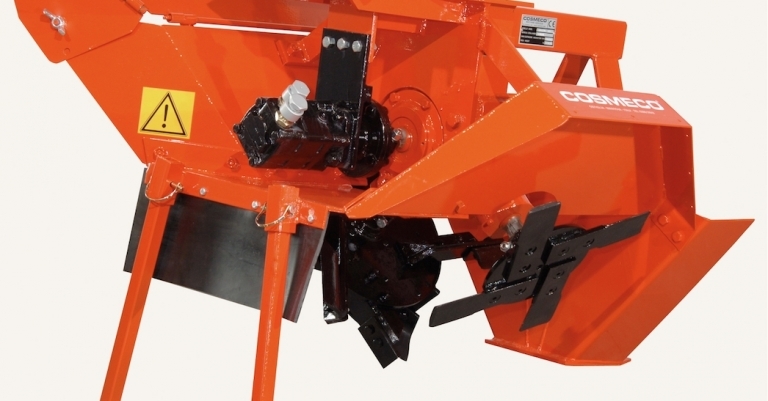 200 cm3 hydraulic engine and hitching plate.